And on a side note, can anyone tell me what the ///M kit, which I assume came with the Sport to Clubsport models, consisted of? I'm actually looking to buy and I love the Sport models/package(which is the right word?) but I'm not so sure I want to settle for Active before knowing more. 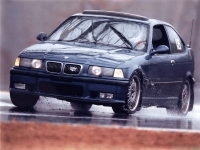 The M-technic trim was on the 95 Clubsport and 96+ Sports. Just for the record, there is also a 95 Sport. I haven't worked on this set of pages in a while but I do believe the informationis accurate. Ive looked at the info on that page before, but it seemed like there were some pages without info on them. Looks like its got a lot of info there, though I didnt really look too much before- thanks a lot though.